I think I’m experiencing a different kind of March madness this year. Instead of going crazy about hoops, I feel like I’ve been jumping through too many of them. At the start of the month, I was constantly getting plowed and it had nothing to do with alcohol. Everything in sight was white. Shoveling mountains of snow was a daily devotion. Now the ground is soggy and brown … and I’m mostly feeling down. My Timberwolves are back in familiar territory, out of the playoffs and looking lost. My Wild can’t score, so they, too, appear to be headed for an early vacation. The Vikings are coming off a middling season with an expensive quarterback and an all too offensive, offensive line. That leaves our Twins. In just a couple of days, the stage will be theirs. Sure, the NCAA Final Four will be the big story in Minneapolis as April arrives. But soon our local nine will be the only show in town. In fact, they can even make an early splash through one of our many potholes by jumping on the reigning American League Central champion Cleveland Indians on Thursday. Yes, the Twins are playing at home. On March 28. Remarkably enough, it appears the weather will be relatively timid, too. So before I ask Alexa to cue up George Harrison’s “Here Comes the Sun,” maybe we need to offer an honest appraisal of the club’s chances for turning the sports spectrum back into sunshine and rainbows. Let’s begin with an admission of sorts. This mid-60s guy is still not ready to accept the thought of tearing down the team I’ve been following since my teens for the sake of new school analytics and a fresh regime half my age. Call me “old school” if you like, but I continue to question why a Hall-of-Famer like Paul Molitor had to become a victim of this rebuilding process from 36-year old Chief Baseball Officer Derek Falvey and his 37-year old manager, Rocco Baldelli. Just two summers ago, Molitor was the AL Manager of the Year. Last year, he dealt with a roster filled with injuries and substandard pitching. I’m also not convinced that new faces and new ideas will necessarily lead to newfound success. 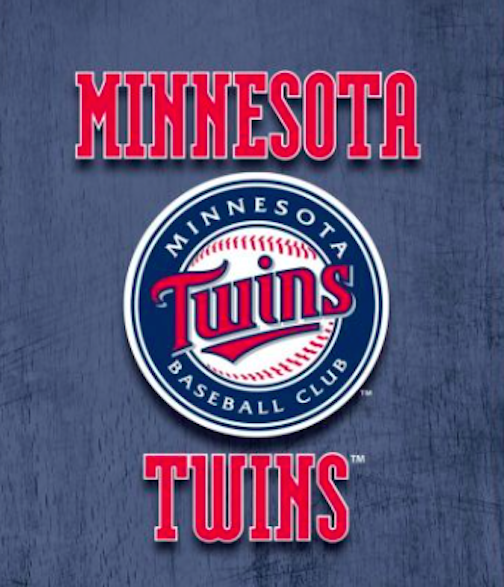 Just the same, in a sports market still starving for a savior, maybe this Twins’ team will surprise us. In fact, there are a number of reasons to believe they should at least be very competitive this summer. Off-season additions have clearly beefed up the offense. In November, they claimed first baseman C. J. Cron off waivers from Tampa Bay. In December, they agreed to terms with former Oriole, second baseman Jonathan Schoop. Then, in January, Minnesota landed veteran slugger Nelson Cruz to a one-year, $14.3 million deal. All three have hit 30 home runs or more in recent seasons, with Cruz besting that mark the last five straight years. The Twins also were proactive in nabbing versatile free agent Marwin Gonzalez, spending another $21 million in a two-year deal, that adds great flexibility to the infield. Gonzalez was a key contributor to the Houston teams that had great success the past two seasons. He also possesses power from both sides of the plate. On the pitching side, while there was far less off-season activity, newcomers Michael Pineda and Martin Perez offer potential promise for the rotation. Pineda sat out last year recovering from Tommy John surgery, but the former Yankee looked good this spring and offers a dominating presence on the mound. Perez has shown better velocity with his fastball and will probably be used as a fifth starter to log plenty of innings. Reliever Blake Parker also comes over from Los Angeles, where he handled most of the ninth inning duties last year for the Angels. Management also spent off-season money on five-year deals with young stars, Max Kepler and Jorge Polanco, solidifying right field and shortstop, provided these two continue to progress. Kepler’s deal is worth $35 million with an option for more, while Polanco signed for close to $26 million. So it’s clear that ownership is eager to shed its reputation for being too frugal to satisfy fans hungry for a title. While the growing impatience for Miguel Sano and Byron Buxton to emerge is still in a holding pattern, there is at least optimism this spring. Buxton has added muscle, made changes to his swing and is having a great preseason. But then, we’ve been optimistic before. Sano is back on the shelf with a cut above his heel that has him out until mid-May, but has lost weight and reported to camp in better condition than previous campaigns. Ultimately, it would seem the Twins’ chances to compete in the Central this season will still hinge on starting pitching. Jose Berrios is clearly the ace, but at 24, there are certainly possibilities of growing pains. Kyle Gibson is coming off his best season, yet will it continue? Pineda is attempting to rebound from injury. Jake Odorizzi and Perez can eat up innings, but neither offer spectacular numbers. This is where the new regime comes in. The fact that Falvey and his sidekick, Thad Levine, spent most of the winter and Jim Pohlad’s money, adding offensive weapons, tells you they have other ideas about the pitching. Skeptics can rightfully hesitate to embrace this club until they see evidence that Minnesota can match teams like Cleveland, Boston or Houston on the mound. The Indians, although missing a few bats due to injury and free agency, can still boast of a far superior rotation. Corey Kluber, Carlos Carrasco and Trevor Bauer are all top-line starters. But maybe these young brain wizards know something we don’t. While hiring the youngest manager in baseball in Baldelli, they’ve also added a guy coming over from Tampa Bay, known for its pitching prowess and innovative approaches. Like using relievers as starters. Or starters as relievers. His new pitching coach Wes Johnson is making a serious jump from college to the major leagues. But the former Arkansas Razorbacks’ mentor brings along a knowledge of biomechanics, in which hurlers are given “individualized pitching plans” using data gathered by something called TrackMan. Tailored pitching “philosophies” are also employed. According to Johnson, TrackMan relies on “an understanding of how the body moves” and compiles data for each pitcher based on previous performance. If you think this all sounds like a load of hooey, join the club. But then, have you forgotten how many times over the last decade we’ve lamented over the Twins’ embarrassingly inefficient attempts to “pitch to contact?” It usually just looked like a small-market club trying to piecemeal together a rotation of scrapheap soft tossers, unable or unwilling to match the bread big market teams were tossing at flamethrowers. Let’s face it: Molly ain’t managing anymore. Joe Mauer has retired. Kirby and Herbie won’t be coming back. Even TK no longer puffs on cigars atop mounds in Fort Myers. April approaches and it’s supposed to hit 70 tomorrow. Time to go from “brown and down” to “green and pristine.” Go Twins and batter up!